Anyone who has traveled to Japan, or eaten in an authentic Japanese restaurant knows that the Japanese enjoy a rich, diverse and carefully prepared cuisine. In a country with thousands of years of history and many different regions, each with their own style and specialty dishes, many dishes have long cultural significance. Like most people, the Japanese associate certain foods with family occasions, holidays or festivals. 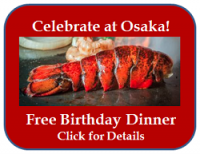 Here are a few special Japanese dishes that are associated with important days on the Japanese calendar. Oshogatsu (New Year) is the most significant day of the year in Japan. Celebrated on January 1 and usually extended a few days into the new year, Oshogatsu is a time to celebrate and contemplate the New Year. It’s a day when people usually return home to be with their families and gather at the shrines to greet the gods. On New Year’s Eve, families prepare osechi ryori, a special meal that includes a variety of foods, including dishes like sweet rolled omelet, fish cake with salmon roe, candied sardines, daikon and carrot salad, smashed chestnut and sweet potato paste, and simmered chicken and vegetables. These are prepared in advance to avoid cooking during the first three days of the year according to custom, so they are often vinegared or sugared to keep during that period. Hinamatsuri or Girl’s Day in Japan, is celebrated each year on March 3rd. It is one of several ancient annual celebrations that go back over a thousand years. The day is dedicated to girl children and features the display of ornamental dolls representing the Emperor, Empress and their royal court. 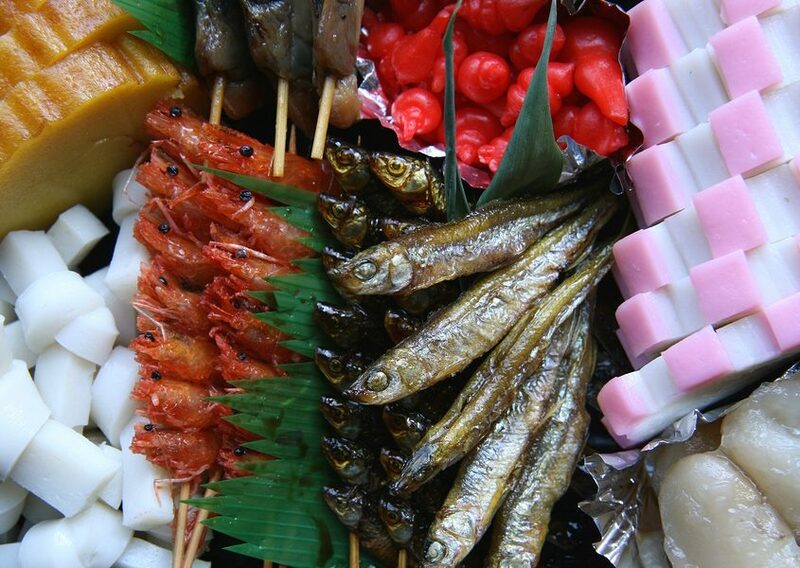 Hinamatsuri celebrations feature their own traditional dishes with some variety based on the region of Japan. Sushi is usually part of the meal, as well as hishi-mochi, or diamond-shaped rice cakes colored in spring colors representing fertility and good health. 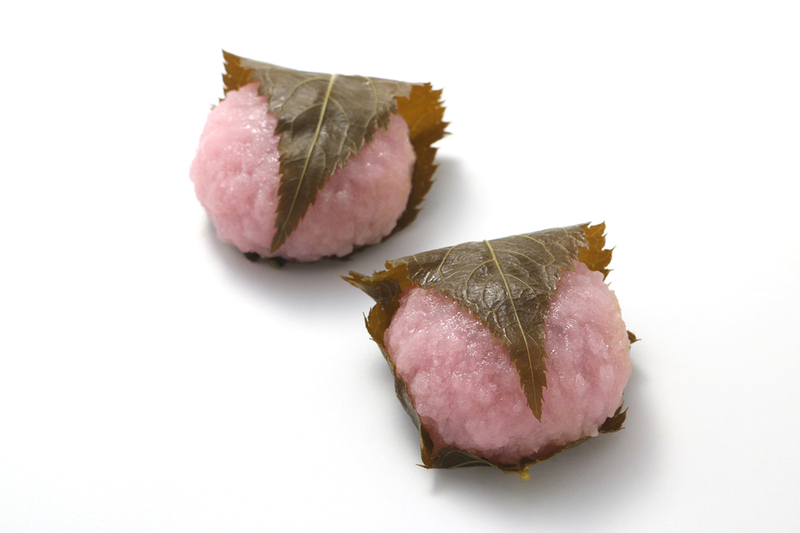 as well as hamaguri-zushi which is a small rice ball wrapped in a thin omelet shell, giving it a clam-like shape. 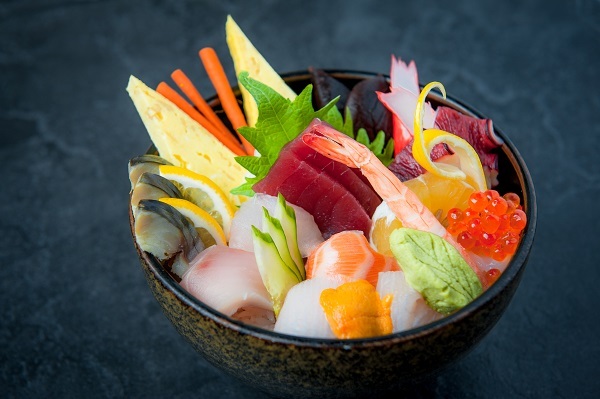 Chirashi-sushi is a collection of colorful sushi usually in colors of yellow, green, white and pink. Hanami or Cherry blossom festival is one of the most popular holidays celebrated in Japan. The whole country stops work to enjoy and celebrate the blossoming of the cherry trees, called sakura. Most of the parks open their gates for families who hold their parties below the trees. The Hanami celebration includes preparing homemade foods, including onigiri (rice balls wrapped in seaweed), miso (bean paste) and sakura mochi (preserved cherry sweets). Bento meals may also accompany the family as they picnic among the blossoming cherry trees. The meal may also be supplemented with sake or even a tea ceremony with special teaware and a blend of organically grown sakura, green and black teas. In a country whose 99% of the population is non-Christian, the secular side of Western Christmas has been widely adopted and is celebrated with decorations and gift giving. American fried chicken icon, KFC, played a part in the popularization of Christmas. And now, each year, it seems locals can’t get enough of KFC chicken. “Kentucky for Christmas”, a 1974 marketing campaign in Japan introduced KFC, and a holiday tradition took off from there. Today on Christmas, the locals make long queues at KFC or even order in advance to escape the waiting time. At the end of each year, Japanese make sure to have a meal of soba noodles in a dish called toshikoshi soba. The custom can be traced to the Edo period when it is believed to have started at one Buddhist temple that fed soba to poor people to celebrate the coming of the New Year. Because noodles are easy to cut when chewing, a dish of soba noodles symbolizes the end to the hardships the Japanese people had to undergo as they labored all year round, and it let’s them start the New Year fresh. 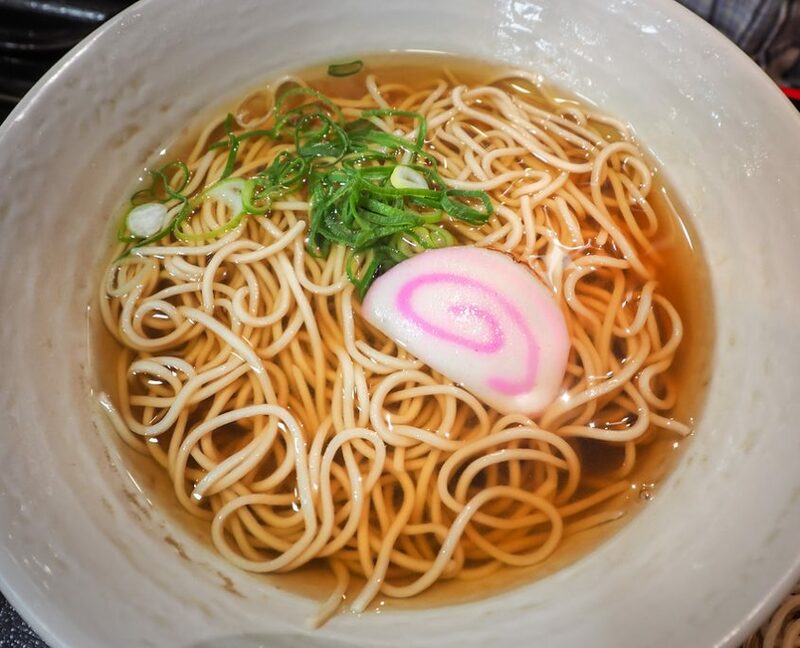 To make toshikoshi soba, the soba noodles, which are made from buckwheat flour, are cooked with a blend of soy sauce, mirin and sugar, and then garnishing using onion. The mixture is then heated over a flame until the broth simmers. Once ready, it gets apportioned and served in bowls. 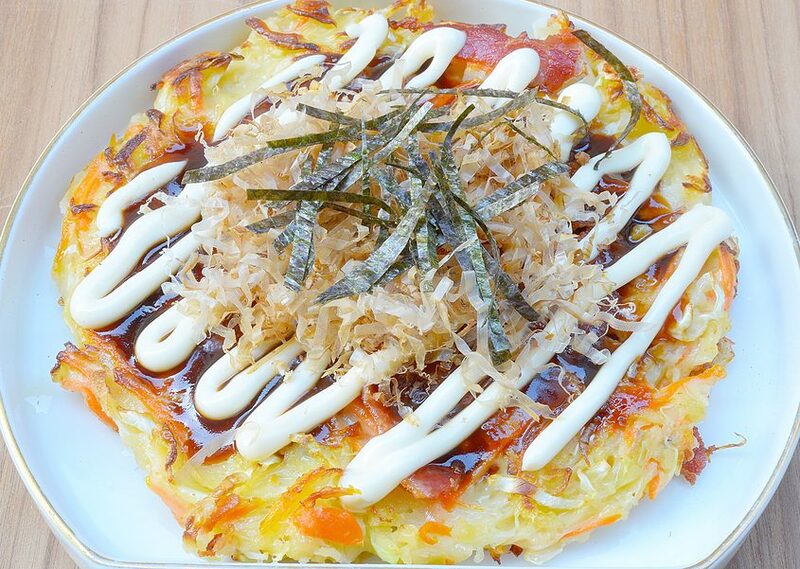 Okonomiyaki is a savory version of the Japanese pancake prepared using a variety of ingredients. The dish originated in Osaka but is now popular everywhere and enjoyed year round The term okonomiyaki in Japan means ‘grilled how you like it.’ While Okonomiyaki are enjoyed during matsuri, or festivals, they are popular year round. There are even restaurants that specialize in okonomiyaki where patrons can select and mix their own ingredients. Normally, okonomiyaki is prepared by blending flour, eggs, cabbage, pork belly slices or meat, and then decorated with a variety of toppings for an excellent flavor. Great chefs and homemakers all love to come up with new combinations and topping ideas for this versatile pancake which is also a great way to use up leftovers. 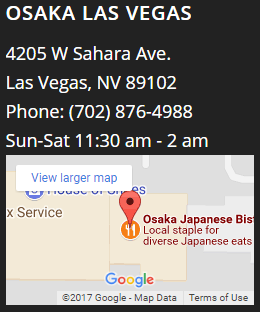 WIth one of the biggest and most authentic Japanese food menus in Las Vegas, Osaka Japanese Bistro offers an extensive selection of Japanese dining for every taste and event. 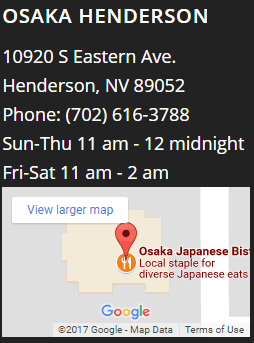 Whether you want to celebrate New Year’s with a late night sushi party or a birthday with a Teppanyaki feast, springtime with a fresh chirashi sushi bowl, or just enjoy the taste of homemade Japanese food like okonomiyaki or a steaming bowl of tasty chicken udon, stop by either of our locations open late in Las Vegas and Henderson and step into a festival of delicious food. 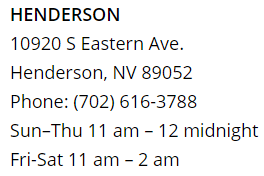 What to Look for in the Best Japanese Restaurants What was Las Vegas Like in 1967?